The images used in the scene above have been greatly reduced. The fairy isn’t included in this package, but can be downloaded here. Create a landscape where fairies dwell. 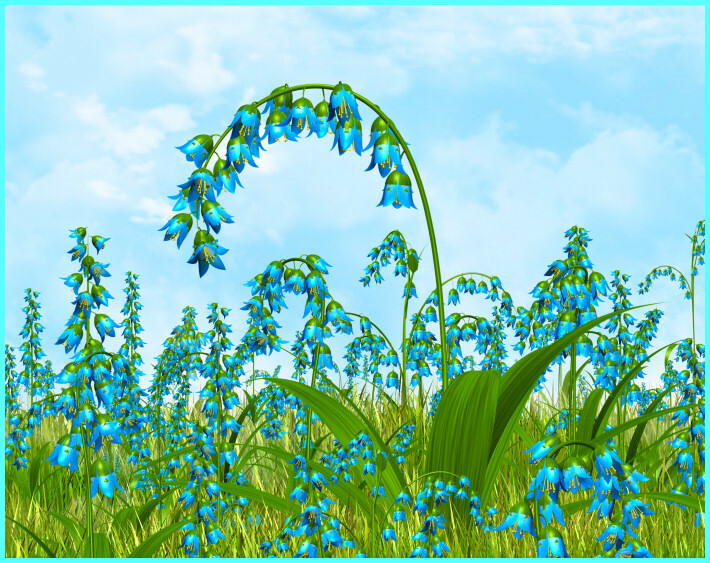 Breath some new life into your creativity and design your own springtime backgrounds with this collection of ultra large fairy flowers (in blue, pink, lavender, and orange), trees, and meadow grass tubes. Includes a blank sky background that was used in the promo images and a ground file to help you get started on a spectacular landscape. This package also comes with a 3000 X 3000 finished background with the blue fairy flowers. 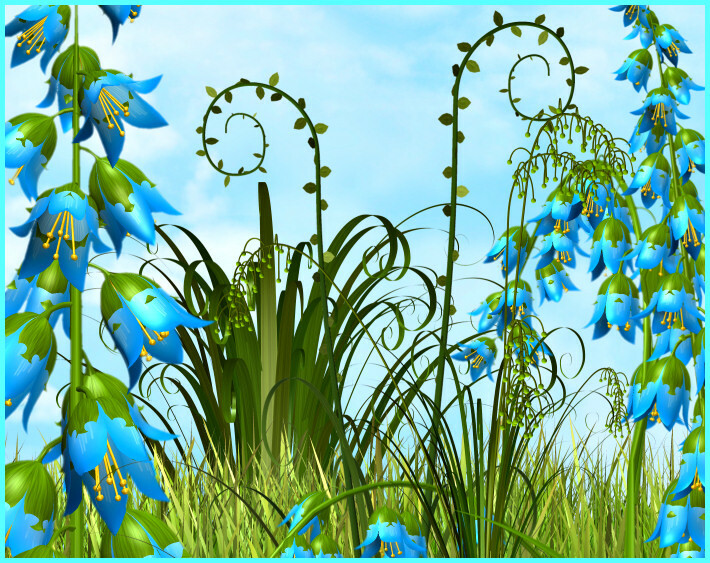 I’ve added two seamless tiles, featuring the fairy flowers, one of which is on this page. There are 42 royalty free, high-quality clipart PNG images in this package, plus two backgrounds and a background tile as seen on this page. All of these images have transparent backgrounds (except for the background images) making it easy for you to use them as tubes or nozzles–or merely to drop into your design. The size of these images varies, but they are approximately 2000 X 2000+ pixels. All are 300 DPI, making them great for print projects. This package is one zip file, which is about 75 MB. I have been a subscriber for a long time, and I must say that I love the new site design. It’s very special and a much better user experience. You are so talented!!! Thank you for all you do. Thanks for your input and for being a long-time subscriber. I appreciate it.